The Christmas baking has commenced! I believe this truly is my favourite time of year, the lead up to Christmas and of course, Christmas itself. No matter how old I get, there is still something magical about these few weeks, the excited preparation of food and presents, the chill of winter setting in, the hint of snow in the air. It’s different now that I have my own children, of course, as I know firsthand the behind-the-scenes effort it takes for parents to pull off the magic without giving anything away. It can get more than a little stressful, and yet I still find that I love it, year after year. I love sending packages of homemade goodies to friends and family, with a variety of holiday treats in them. So I start early, with things I know hold up well in the fridge or the freezer. Closer to the main event, I will make the ones that need to be fresh. Biscotti is a good one to make early on, as it is meant to be hard anyway and withstands freezing very well. In years past, I have made a Cranberry Pistachio biscotti out of Bon Appetit that was very well received, but this year, I was struck by what I thought was a flash of brilliance. 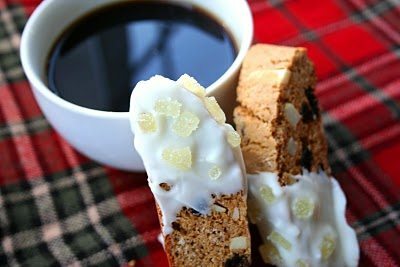 Gingerbread Biscotti! Dipped in white chocolate and sprinkled with chopped, candied ginger. Pure genius, n’est-ce pas? I quickly discovered that it was so darn brilliant, other baking geniuses have already thought of gingerbread biscotti. Ah well, great minds think alike, I suppose. Regardless, I decided to go ahead with my version of this holiday treat. Thus far, I haven’t seen any others dipped in white chocolate and sprinkled with candied ginger, so for now, I can claim this idea as my own. If someone else has already done it, don’t tell me. I want to hold on to my delusions of grandeur for a little while longer. The Results: Obviously, this is not exactly a low carb holiday cookie, so I limited my taste-testing to the non-white chocolate dipped version, and a small(ish) piece of it at that. What I can tell you is this…my kitchen smelled heavenly while these little guys were baking. When I opened the oven to check on them, the waft of gingerbread was incredible, absolutely incredible. But the texture is all biscotti, that hard and yet tender crunch. The raisins give them some added chewiness and the almonds add more crunch. And although I didn’t taste the ones with white chocolate myself, I wonder how you can possibly go wrong with that? My husband, who spent a year living in Italy, gave them a big thumbs up, and even the kids liked them. Gingerbread and biscotti is a match made in heaven, I just wonder why no one has thought of it before? Oh wait, that’s right, they already did! **If you plan on making these ahead and freezing them, wait to dip them in white chocolate until you are ready to serve them (or give them away!). In a medium bowl, whisk together flour, baking powder, spices and salt. In a larger bowl, beat butter and sugar together until combined. Beat in eggs one at a time. 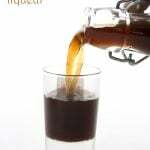 Mix in vanilla and molasses. Beat in flour mixture until just combined. Stir in raisins and almonds. Dough will be stiff and sticky. Turn out dough onto a lightly floured surface and divide in half. Roll each half into a 12-inch log and transfer to prepared baking pan about 3 inches apart. Flatten each log into a 3-inch wide loaf. Bake until loafs are almost firm to the touch, 30-35 minutes. Remove from oven and let cool 10 minutes, but maintain oven temperature. Carefully transfer one loaf at a time to a cutting board. With a serrated knife, gently saw back and forth to cut loaf crosswise into 3/4 inch slices. Place slices, cut-side down, back onto parchment-lined baking sheet. Bake until firm and golden, 8 minutes per side. Transfer to a wire rack to cool. Line another baking sheet with waxed paper. Place a metal or ceramic bowl over a barely simmering pan of water. Stir until chocolate is melted and smooth. Remove from over water and dip one end of each cookie into melted chocolate, tilting the bowl to get good coverage. 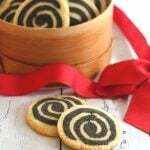 Place cookies on waxed paper and sprinkle with chopped ginger, pressing gently to adhere. Chil until chocolate is firm. Noooooo, I'm not ready for Christmas! Though…I'm ready to have some of this. 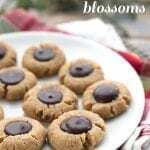 I wish I could have convinced my sister to make something like this when we made biscotti – these look so delicious! These are beautiful! I wanted to make biscotti tomorrow, but will try these as well some time this month. These will make great gifts….you're right. Hmmm who is lucky enough for me to bake these for?? Yum! I love biscotti even though I rarely have one. Never made them myself – might make my first batch using your recipe ;). Your cookies always come out looking so amazingly good. I bet they taste great too! Yes like you said there is something about this time of year! It is so magical and special! I love your biscotti. 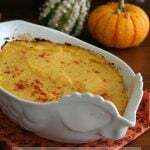 I will try this recipe, since I am trying to convince myself that there are much better when you make them at home:)) Thanks for sharing this wonderful recipe! Every time I come to your blog I am in awe of all your food. 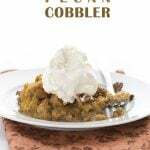 Carolyn you are a very talented cook and I can just imagine the excitement your loved ones get when they receive one of your kitchen treats. The Biscotti look and sound amazing! How very festive and warming for this season. 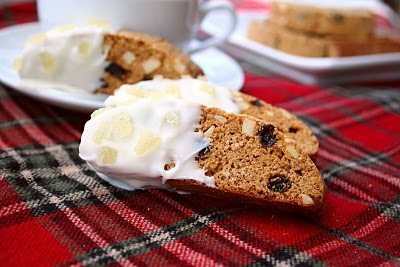 Gingerbread biscotti would already be good enough but dipped into white chocolate…wow! I'm so ready to eat these! I've never made my own biscotti before… but this looks absolutely delicious. Yum! Those are perfect for christmas. Biscotti will always remind me of my grandmother. These look great. 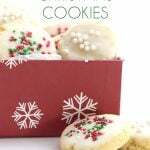 Always a great cookie for the holidays. I love the Gingerbread addition. Thanks so much for sharing. Your blog looks great!!!! Oh my goodness your biscotti looks amazing, absolutely gorgeous!! I love gingerbread (obviously) so you know I'm drooling just looking at your biscotti. Biscotti are my favorite cookies to make for the holidays because they NEVER go stale. 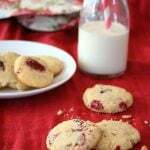 I made those cranberry ones last year as well but I agree. These are pure genius. Carolyn-These gingerbread white chocolate dipped biscottis are heavenly. They are absolutely beautiful. I make so many different kinds of biscotti once a year during the holidays, and for sure, this will be added to the collection. I've never seen gingerbread biscotti before. It looks and sounds delicious! These sound perfect! 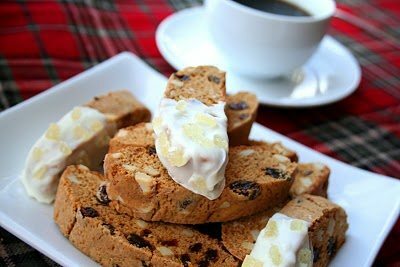 I was just talking about biscotti last night and these flavors are just the thing I need to get the holiday started.. Beautiful pictures too! I kept looking at that white chocolate and thinking, wait, is that candied ginger? I LOVE candied ginger. Heck, I love ginger in any form! This is definitely a must-make recipe. Thanks for sharing it. Hey..Carolyn,,,You have wonderful blog here….I am very happy happy to see your blog,,,nice collections of recpies…glade to follow you.. 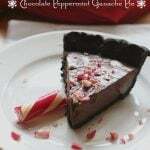 This would be a great holiday gift…beautiful and delicious!!! I SO want one of these with my coffee this morning!!! Plus awesome gifts! I have never tackled making biscotti, but I think it is time to try! These look delicious!!! These look beautiful, Carolyn! 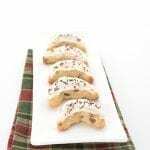 I love biscotti and nothing says the holidays like a beautiful recipe such as this one! 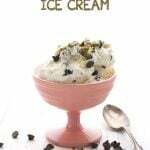 Congrats Carolyn on making top 9 on foodbuzz! I love the addition of the candied ginger in the white chocolate. Although it may have been done before, your version sounds delicious! Yes, you are a genius indeed! Nothing says the holidays more than gingerbread and this would please even die-hard chocoholics 🙂 Congrats to you and the boys on the Top 9! Oooohhhh boy, you are killing me with that cup of coffee and the cookies….delicious! I can smell it through the screen. 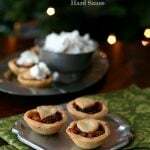 I love gingerbread, the cake version, so I know that I'd enjoy these. Thanks so much!